We’d love your help. Let us know what’s wrong with this preview of The Story of England by Michael Wood. To ask other readers questions about The Story of England, please sign up. I always take a little longer to read non-fiction - just the nature of the beast. Michael Wood is a long-standing favourite of mine - in tandem with his television series. He truly is a rarity - a historian who knows how to popularize history without losing insight and scholarship. When I heard about his The Story of England, I just had to get it straight away. The concept of depicting the culture and history of England from prehistoric times to modern day, through the archives and archaeology of I always take a little longer to read non-fiction - just the nature of the beast. Perhaps the only criticism I can throw in - which does not undermine my rating of 5 for this work - is that the geography often mentioned of areas outside of the locale are not represented by maps. As a non-Englishman, I simply lose my sense of direction and geographical context when reading about various counties and cities. It would have been helpful to have a few extra maps. After a rather disorganised start, this settles into an absorbing, sympathetic, sometimes entertaining account of the history of England since the fall of the Roman Empire as experienced by a small settlement in the English Midlands. Recommended. This book, which is the companion to the BBC series, tells the story of one village, Kibworth, through the whole of British history. 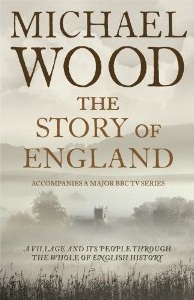 Wood's premise is that British history can be told through the stories of kings and queens, but it is only by looking at it from the point of view of the ordinary people that we begin to see the gradual development of society over time. There is a lot of detail in this book, chapters on the Black Death and the Suffragettes were particularly good. Kibworth just ha This book, which is the companion to the BBC series, tells the story of one village, Kibworth, through the whole of British history. Wood's premise is that British history can be told through the stories of kings and queens, but it is only by looking at it from the point of view of the ordinary people that we begin to see the gradual development of society over time. There is a lot of detail in this book, chapters on the Black Death and the Suffragettes were particularly good. Instead of recounting English history based on the reigns of its kings and queens, this book focuses on the broader perspective through the history of one small, very well documented town near Leicester. A brilliant concept and fascinating perspective. Probably the best English history I've read. I think this is one I actually might have preferred to see on TV than to read. I'm gasping at myself here. Okay book. I should have read the back cover more carefully because I didn’t realize it was centered around a single English village. It took me about a hundred pages of confused annoyance before I finally figured out what the deal was. I didn’t dislike the book overall, but I had (and continue to have) zero interest in learning all the little details about one English village. Especially in regards to the financial/humdrum affairs of its inhabitants on a super specific level. I don’t care about Okay book. I should have read the back cover more carefully because I didn’t realize it was centered around a single English village. It took me about a hundred pages of confused annoyance before I finally figured out what the deal was. I didn’t dislike the book overall, but I had (and continue to have) zero interest in learning all the little details about one English village. Especially in regards to the financial/humdrum affairs of its inhabitants on a super specific level. I don’t care about William whateverby and how many of his descendants survived the plague! They exchanged two acres of land with a neighboring family at some point in time? OKAY BUT MY BRAIN HAS A LIMITED AMOUNT OF STORAGE SPACE AND MY BEING HAS A LIMITED AMOUNT OF TIME ON THIS EARTH AND MY PATIENCE IS ALSO LIMITED BECAUSE I HAVE A NATURALLY IRASCIBLE TEMPERAMENT. That being said, the book is well written and though I did not learn efficiently, I learned nonetheless. I rather liked reading this book. It's basically the history of England as told through the history of a village in the center of England and that village's name is Kibworth. Well written and told by historian Michael Wood. We're guided through the events that made England since the beginning of recorded history through to the Roman invasion, the Vikings and the Norman invasion up to the present. All done very well and I cannot recommend this book too highly. Really interesting to go through the history based on one village and the people of that village rather than focussing on the related national events and kings and queens as traditional history books do. A very good way to present history. Superb account of ordinary people's lives through history. The writing is excellent. Really shows the way ruling elites exploit the majority financially as well. Michael Wood has written an enticing story of English history with the focus on the town of Kibworth. History for Kibworth, England began: "in the Middle Bronze Age, roughly between 1500 and 1000 BC, a time which saw the beginnings of organized societies in Britain, and with them for the first time long-distance trade." He traces Kibworth's known origins from the Bronze Age, to the Roman, Celt, Anglo-Saxon, Viking and Norman invaders. Each of their influences to society and culture is reflected on. A comprehensive study of the Black Death, famines, wars, Magna Carta, religion, intermarriage with the invading peoples, education, superstition, agriculture, science, and royal families are taught. The majority of history is from Kibworth's known beginning in first century AD to the Protestant Reformation, minimal history on the last 300 years. I am a fan of Medieval history and this book made an impression on me. When I first began reading British history I was interested in the Victorian period. Over the past few months I've began reading books on Medieval period or the Middle Ages, 5th through 15th centuries. I guess I'm working my way back, next it will be Prehistoric Britain, Bronze Age and or Late Antiquity. Invader groups and how they changed society and culture; this included intermarriage, and how people groups adapted to "them". King Ethelred, King Harold, the last of the Anglo-Saxon kings. The Reformation and its influence in England, including the years that it was considered heresy. The book is thorough in its research; interesting in its teaching. I would love to be able to watch this television program, but it's not available in America. I've read this book before - this is my second go-round. And I love it. The book jacket description: For a small country off the edge of Europe, England's influence on the history of the world has been disproportionately great. Its language and literature, and its ideas about politics and freedom, have spread across the whole of the globe. But what is England and who are the English? And how did the English people develop their unique way of seeing the world? In this tale of epic sweep and mesmer I've read this book before - this is my second go-round. And I love it. In this tale of epic sweep and mesmerizing detail, Michael Wood tells the story of an English community, from the Romans until today, exploring the national narrative through the eyes of one small place. That place is Kibworth, a village in Leicestershire, at the very centre of England. Its story is the story of departing Romans, Saxon and Viking immigrants, and Norman conquerors; of the Great Famine and the Black Death; of religious and political conflicts, and the Industrial Revolution; of the Empire and two world wars. All made their impact on this small community. And through it all, with their tenacity and tolerance, and their ways of organizing society, they passed down their cultural DNA to modern English people. I've read and enjoyed many of Wood's books so I am looking forward to this one. Just in a chapter deep so far. Finished on Friday. It's slow going when I mostly read on break at work. Enjoyable read. Needs a bit more of a timeline along with the history. 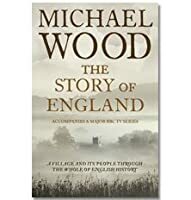 Would probably be better if the reader had a firm grasp on what was happening in the background around England as a whole while Wood was relating what was happening in this one village. But then I guess this was I've read and enjoyed many of Wood's books so I am looking forward to this one. Just in a chapter deep so far. Such an amazing book. Such an amazingly long, detailed book. Such an amazing glimpse into people’s lives in one small cluster of English villages from the Norman Conquest to the present day. It makes a wonderful companion to the TV series of the same name, which understandably sprints through history. The continuity of life, names, customs, professions and statuses is the principal joy of the book. You get to see how the same family names appear again and again throughout the centuries and how fo Such an amazing book. Such an amazingly long, detailed book. Such an amazing glimpse into people’s lives in one small cluster of English villages from the Norman Conquest to the present day. It makes a wonderful companion to the TV series of the same name, which understandably sprints through history. The continuity of life, names, customs, professions and statuses is the principal joy of the book. The focus on one small area to tell the story of England was fascinating. It was made possible by some exceptional archives, and some archaeology, but Michael Wood drew the story together. I really enjoy that he is an articulate and enthusiastic story teller, drawing the reader along with him. I also like that he makes it clear when speculation about what may have happened is occurring, so that the boundary between what is known and what may be imagined to have happened remains a little clearer. Michael Wood tells the history of England through the story of a single village, Kibworth, in Leicestershire. An interesting idea but , for me, it didn't work very well and I spent unusually long reading the book, sometimes leaving it for a week or two before coming back to it. Glad I finished it at last, but three stars is the most I would give to it. I bought this for research as part of it covers the time I am interested in. As a sufferer of M.E. and someone who is not really academic, I sometimes struggle to take in the detail given in research books, but this is an interesting read which I can manage to absorb well enough for it to be helpful. I am finding it quite enjoyable. A slightly biased review as this about a village down the road to mine. I've also met the author who signed my copy! That being declared, the view of British history through the eyes of a community is inspired. An enjoyable read and a brilliant accompaniment to the tv series. A history of England through the lens of a Leicestershire village. Not too bad, but could get very detailed. That said the TV series was excellent and this book fllls in the gaps left by that as it could not cover everything in the eight one hour shows. I didn't finish all of this, but I read enough to rate it. Liked it a lot! The tiny details of this village are fascinating and this makes a great companion to the TV series. Brilliant. The best synthesis of British history I have read, bringing it all together and making sense of the past in a logical and coherent way. Loved it. Excellent - particularly on the earlier history (like Romans & Anglo-Saxons) which fascinate me! Librarian Note: There's more than one author in the GoodReads database with this name. See this thread for more information. Michael David Wood is an English historian & broadcaster. He's presented numerous tv documentary series. Library of Congress lists him as Michael Wood. Wood was born in Moston, Manchester, & educated at Manchester Grammar School & Oriel College, Oxford. His specia Librarian Note: There's more than one author in the GoodReads database with this name. See this thread for more information.